The coveted brand, Opium has brought this pair of sunglasses, which will surely catch your fancy. 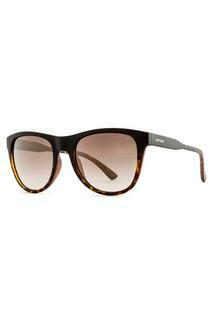 It comes in a wayfarer style and has a full rim that makes it look fashionable. In addition to that, it flaunts an animal print pattern that lends it a stylish look. This pair of full rim sunglasses will be a perfect choice for any casual occasion. Team it with any of your favourite shirts and jeans for a complete look.